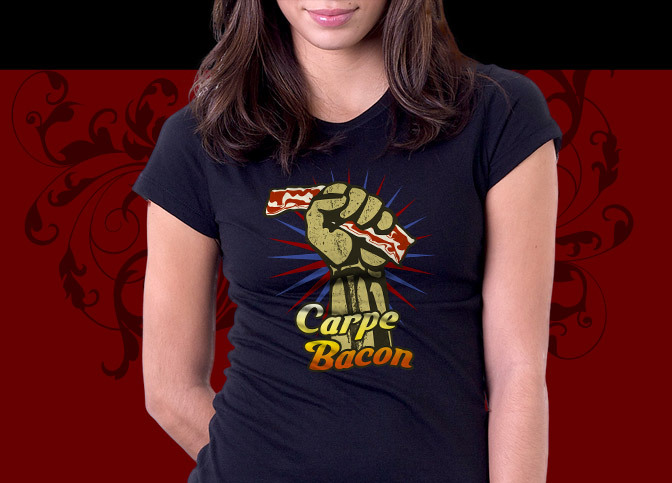 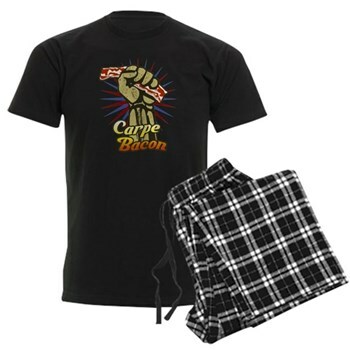 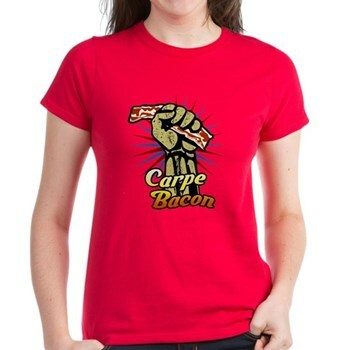 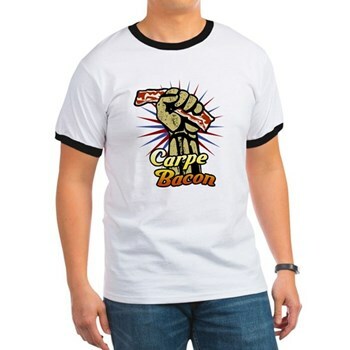 Carpe Bacon is a very funny "Carpe Diem" or "Seize the Day" Latin t-shirt for bacon fanatics. 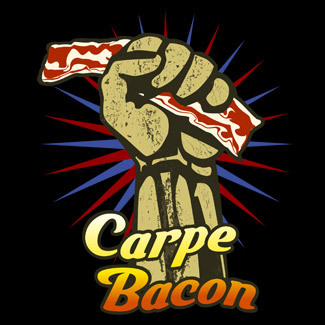 Carpe Bacon features a beautiful slice of our favorite meat candy gripped by and ancient hand and the words Carpe Bacon beneath in beautiful colors. 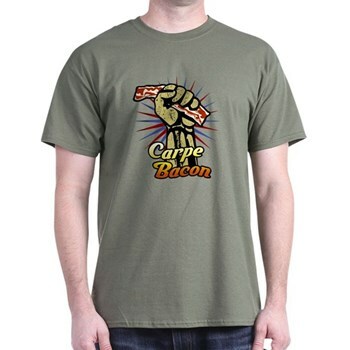 The Carpe Bacon shirt design offers a classic look while delivering a humor-filled devotion to the best tasting meat on earth.